There are 40 reviews of Oud. I will admit it took me a couple tries to really enjoy it so if you're on the fence on this give it some time. Been meaning to try Montale's Aoud Melody since I hear it's so similar.. I'm traveling through the European winter storm of 2018 with this fragrance. Gentle, warm oud with touch of patchouli and something sweet, probably saffron. Pure excellence. Sophisticated and elegant. This uses the same saffron as L'Agent Provocateur, which can be fun. They're similar enough to be confusing during moments when the saffron is strongest, but the general feeling of the opening of L'Agent Provocateur is better for me, with its rose notes. I don't think there's much oud in this, but what there is doesn't work as well with the saffron. The base is the scratchy synthetic ambery woods I dislike, and it will not wash off. A weak, nondescript, insipid, and banal offering without any redeeming characteristic. A burst of saffron followed by a flat watery-transparent note of vague woody-florals supported by MFK's signature dull patchouli accord. Disintegrates into nothingness in three hours. Characterised by a flat coca cola accord, spiciness and woods. No oud here. Significantly overpriced, I see no reason why this should command a premium over the rest of the MFK range, which itself is pricy. Oud perfumes are the new “orientals”. Like their early 20th century predecessors, their fantasy/reality ratio is sky-high. They are less overtly culturally offensive, but in terms of authenticity, they are just as much a bill of goods. Kurkdjian approaches oud as a material rather than a genre. He seems to have given it the same scrutiny he might ambroxan or rosewood, breaking it down into its constituent notes and evaluating the olfactory dynamics, seeing how it interacts with other materials. Some of oud’s traits are underscored, others are played down. By treating it to classical western perfume analysis and technique, Kurkdjian assimilated oud. In skipping the Arabian fantasy, he avoids the stereotypes of the material. Of the hundreds of oud perfumes to hit the market in the past 5-10 years, not many stray from a narrow interpretation of the material. Kurkdjian took a measured approach and demonstrated his signature talent for composing a perfume that is somewhat unusual but not at all strange. It smells deliciously of shoe polish + lipstick + floor wax. It is cool to the touch and reserved. Kurkdjian aligned oud with patchouli, a material with some similar characteristics, to create a new style of woody-floral perfume. Oud and patchouli are both woody materials that range from pitchy highs to durable, resinous bass ranges. Patchouli’s camphorous chill matches oud’s rubber band-aid note and both share a dusty, woody feel. They don’t smell alike, but the behave similarly. Classical perfumery has always had a loving appreciation of ‘off’ notes. The most effective materials of traditional perfumery tended to have a stark, asymmetric beauty at their core. Modulating them created a well-proportioned aesthetic that captured the interest and the imagination. Oud is well suited for a similar use—it is idiosyncratic and quintessentially jolie-laide. Kurkdjian didn’t disguise oud, but he did make it his own and proposed a new, western style of oud perfume. NEW: Maison Francis Kurkdjian - Oud Extrait De Parfum! 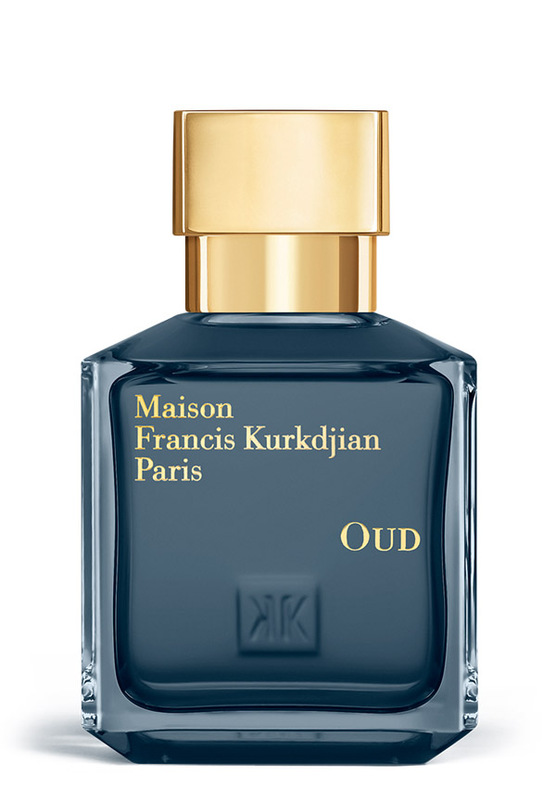 NEW: Maison Francis Kurkdjian - Oud Satin Mood EXTRAIT DE PARFUM! Oud Satin Mood - Maison Francis Kurkdjian. Has anyone smelled Maison Francis Kurkdjian OUD Satin Mood?